With summer looming, only one thing is on our minds – LOVE ISLAND. What better to way to get the low down than from last year’s heart throb, Dom Lever. JD Now managed to steal five minutes of his time to talk fashion, life, and love…. Simple. I stick to what I know, T-shirts and skinny jeans errrrrday – it works for me. Do you have a favourite brand ATM? 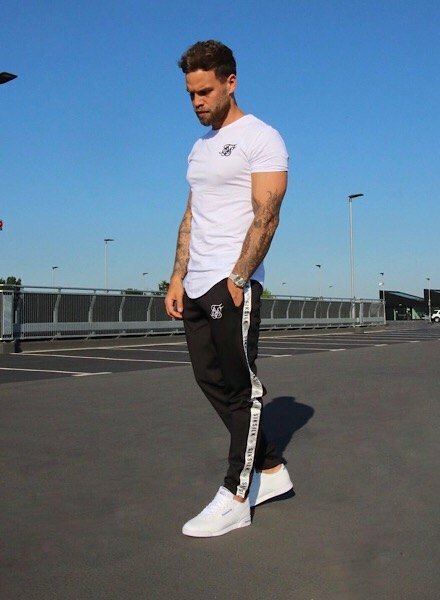 SikSilk! I love that they do a bit everything, tracksuits, jeans, t-shirts. 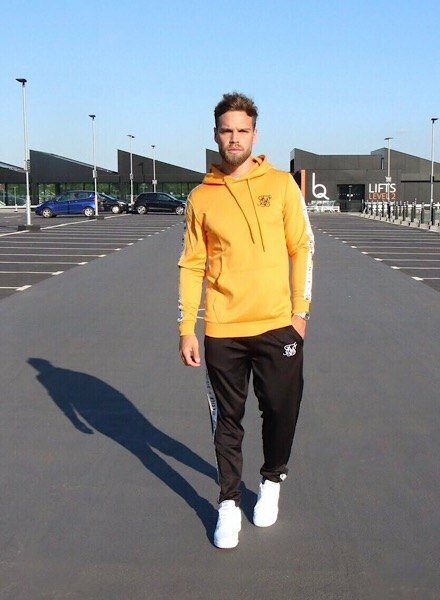 I had a pair of SikSilk jeans in the villa in Love Island and everyone loved them – the boys were always robbing them! Name one piece of clothing you can’t live without? A pair of white trainers – preferably fresh out the box! They go with any outfit. I follow a blogger on Instagram called Erik Forsgren, his style is cool! Like me, he keeps it simple! Are you working on any projects ATM? I’m going to keep at it with my fitness YouTube channel and see where that goes. I have a few presenting opportunities in the pipeline so watch out for me on your TV! What was the inspo behind your YouTube channel? I’m forever getting messages asking me what workouts I do and how I stay in shape, so what better way than through YouTube. I try to show people exactly what I do in the gym and what works for me, it might not suit everyone but I’ll be happy if I help at least one person. I love training chest. If I could train chest every day I would. Do you have any fitness tips? Stay motivated and be persistent, nothing happens overnight but stick with it and you’ll get results. To stay as busy as I have over the past year! I’m definitely excited for the new show, it’s going to be a biggy! Do you have any advice for the new Love Islanders? Just enjoy it! Take a years worth of clothes, 100 cans of hairspray and pray that one of the other islanders is a barber! If you could go back in Love island would you do anything differently? Favourite moment of Love Island? It has to be mine and Jess’ first date, that date literally changed the game. Shop Dom’s look at #JDNOW .